1 dead, steeple falls as tornadoes hit La., Ark. 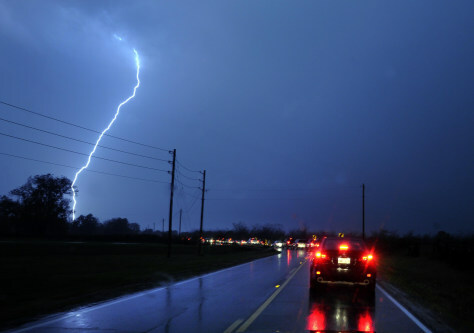 Lightning strikes as a line of cars creeps down a road in Bossier City, La., after storms hit the northwest of the state. Traffic was backed up due to a fire and storm damage in the area.